Christmas proclaims that God will be with us always. The true joy of Christmas is in the everlasting love of Christ. Let us celebrate this happiness with beauty of our Redemptorist Charism. Wishing you a joyous Christmas and blessings in the coming New Year. The end of the year and the beginning of the new one will be for our Conference in Europe, the time of some changes. So we – as the old and the new coordinators – decided to write this “Christmas Letter” together. Both of us have some thoughts and information which we wish to share with you. These past (almost) seven years in which God gave me the privilege of being Coordinator of the CRE, were for me very beautiful but also a very challenging time of my life. 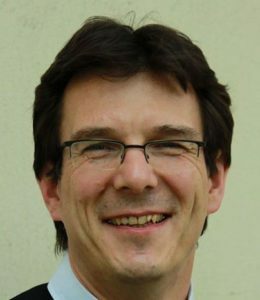 Beautiful – not only because the Superior General gave me the possibility of participating in a special way in this totally new experience of the restructuring process in our Congregation, but also because God gave me the possibility of knowing the great variety and richness of all CSsR Units in Europe. And in the Units, God enabled me to encounter so many excellent and outstanding Redemptorists, Redemptoristines, Lay Missionaries and our Partners. So first of all I want to express my gratitude to all of you for your hospitality, your contributions and your help during so many initiatives, meetings and everyday work in the CRE. I wish to express special words of gratitude to my consultors in the Conference Council, that is to Johannes Römelt and Pedro Lopez. They assisted me with their experience, vision and fraternal suggestions in every challenge of my office. It is my great joy that Johannes, who knows very well the various situations of the CRE, will continue as the new Coordinator, and Pedro will use this experience from the level of the Conference for his work in the General Government. Thanks also to both of the secretaries of the CRE for their dedication and friendship: Fr. Zdzisław, François Stanula and Fr. Piotr Sułkowski. Over 30 Redemptorists and Lay Persons have been working in different secretariats, commissions and working groups in the CRE. It is a totally new structure in the Congregation with new tasks. Thank you all, for your dedications, your initiatives and evangelical creativity. Everything in which you participated was a beautiful beginning of something new in the CRE, and I hope that the seeds which you have planted will give abundant fruit for the future. I express my immense gratitude to the Rome Province, to the provincial Fr. Giovanni Congiu, and to the community of San Gioacchino in Rome where I had my residence and where most of our European meetings took place. Everything we have shared together and our preparations for the future I will pass on to the new Council of the CRE. Nothing need be stopped, because the General Chapter decided that the process of restructuring for the Mission with all its implication will continue. It is also my privilege to present to you the new Council of the CRE. New Coordinator; Fr. Johannes Römelt; Provincial of San Clemente Prov. Consultor; Fr. Giovanni Congiu; Provincial of Rome Prov. the wisdom for all the challenges of the restructuring process. At 1st of January 2018 we will start the mandate of the new council of the CRE. I am very grateful to Fr. General Michael Brehl who entrusted me the task of the Coordinator and to Fr. Piotr Chyla and Fr. Gianni Congiu who accepted the office as Consultors in the CRE. In January we will meet to continue the work in the Conference. A special word of thanks I would like to say to Fr. 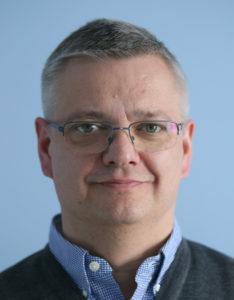 Jacek Zdrzalek, who pioneered in the office as Coordinator in Europe. Deeply committed to the mission of the Redemptorists in our region of the world he started the work seven years ago. At the starting point of the Conference he helped us to build up the necessary structures. It was a learning process for all of us. Giving special attention to the foundation of the Interprovincial Community in Albania and to initiatives of common formation he set the right accents to carry on the process of working together in Europe. Thank you for the restless work and all commitment! As you all know the process will go on. The XXV. General Chapter decided to continue the process of restructuring and the General Government already communicated some important information about the next steps on that way. 2018 will be the year of the Extraordinary Visits of the General Government. All of you are invited to participate and the Provincial Superiors will forward the detailed information. The meetings during that Extraordinary Visit will contribute to work out the Apostolic and Restructuring Plan of the Conference. The results of the discussions at that meetings will be collected and be given to the Commission for the Apostolic Plan who will include them in their work. This commission for the Apostolic Plan was – after consultation of the Assembly of the Conference in Perth – appointed by the council of the Conference. The two European General Consultors and the Conference Coordinator are members ex officio. Fr. Brendan Callanan (Dublin), Fr. 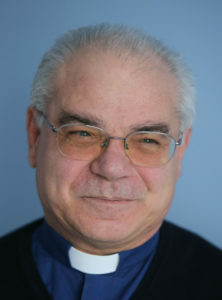 Jacek Zdrzalek (Warsaw) und Fr. Rui Santiago (Lisbon) were proposed by the Assembly at the meeting in Perth and appointed as members. This working commission already met for the first time at San Gioacchino in Rome. Experts from the Oriental Church and in Pastoral Theology will be asked to contribute. I encourage you to participate in this process of consultation and wider missionary discernment. Please accompany this process with your ongoing prayer. At the end of this letter we include our best wishes for Christmas to all of you. We celebrate that God shares our lives as human beings and transforms it. At Christmas he opens up a new future for us. and God’s abundant Blessings in the New Year 2018.